The Culinary Career Institute provides an academic path to a post-secondary education through a culinary venue. 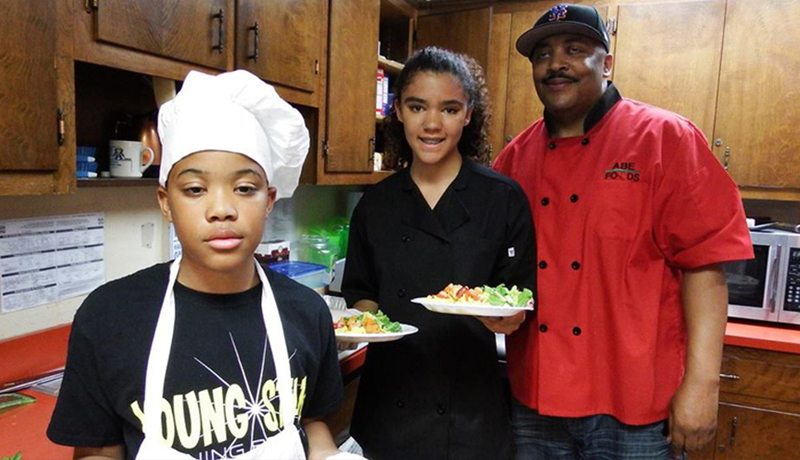 During a 10-week program, teenagers will learn culinary skills in the Montclair State University kitchen. The students will transition from learning basic culinary and food safety skills to more complex principles of nutrition, healthy eating, and corollary learning experiences in math, microbiology, and culture. In class they will complete hands-on, food laboratory assignments prepare homework based on the instruction given for that week. Their final project is designed to develop creative culinary art skills, nutrition, food safety, multi-cultural appreciation, customer service and professional management capabilities. Students will dress in uniforms and learn to model professional behavior and critical thinking while interacting with college student peers and mentors. Upon completion of the Project Life Culinary Career Institute, students will receive a certificate of completion. This will make them eligible to work in paid culinary service positions over the summer, mainly by operating a food concession stand in Glenfield Park during the summer. Co-sponsored by the Montclair Neighborhood Development Corporation and Essex County Park System, students will be able to participate in the Summer Culinary Entrepreneurial Project by developing a business plan and operating a food concession stand/cafe in Glenfield Park. To participate, students must be 15 years or older.